Email Deliverability for Marketeters - Get Those Emails Delivered! Learn how to get your email through to your prospects inbox and not into the spam folder with our email deliverability for marketers video series. Why 96.2% Of Your Email Messages May Be Getting Blocked And NOT Making It Through To Your Potential Customers! If your emails aren’t getting delivered, neither is your sales message which means that you are going to have a very hard time making The Cash You Deserve! Do you know what it takes to make sure your e-mails actually get delivered to your intended recipients inbox? One of the biggest problems to hit the business world in a long, long time is the trouble of getting e-mail delivered. If your messages don’t get to your intended recipients, you can’t very well expect them to buy from you, can you? An e-mail list is the most vital tool that you have at your disposal when marketing online so it’s important that you can reach those prospects! There are a lot of reasons that e-mail messages are having trouble reaching your intended subscriber. You’re here because you realize how important it is to have an e-mail list in your business as a way of making a major part of your income, as an online marketer. In fact, with the economy the way it is now, it’s one of the most important parts of your business all together. I know of many people and businesses who make nearly 95% of their income from their e-mail promotions so you can imagine how much of a hit their income would take if they couldn’t get their e-mails delivered! Your email list is the single most profitable asset that you have, whether you’re a business owner or an affiliate marketer! Look, when it comes down to it, there are tons of ways that are being advertised as ways to pull in more business. The biggest one is “Traffic” and of course you want to get traffic via advertising but what is the absolute fastest way to get highly targeted traffic to your web site? The answer is of course when you send a promotion to your e-mail list and point them to the page you want them to visit, so they can consider purchasing your latest offering. Even pay per click advertising via Yahoo!, Google Adwords, or MSN Ad Center can’t provide as targeted of traffic because these people are your subscribers, already know you, and already have a relationship with you. If you have been marketing long then you already know that having an e-mail list is absolutely, without question, the most valuable asset you have in your business. Even if you’re an affiliate marketer with no web site, a list is extremely valuable for you to promote your affiliate offers to. Of course, the majority of business owners, affiliate marketers, and online entrepreneurs get caught up in generating traffic, or creating new products rather than building a list, and making sure that that customer list is maintained in such a way that all of your e-mail is deliverable and that’s unfortunate. 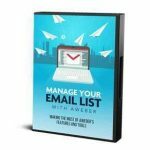 The sooner you start building a list, and the sooner that you take the steps necessary to make sure that every e-mail you send is actually delivered to an inbox, the faster you secure the ability to generate massive traffic anytime you want. More Than 96.2% Of your E-mail could be getting dropped right into the spam folder! You know those nice little features in our e-mail inbox that take care of all that horrible spam that we get every day? Most people never even check their spam folder so they will never know that they aren’t getting your e-mail if it ends up there. What’s worse is that once your mail starts ending up in the spam folder, it will get worse, and worse, and worse until you can’t get a message delivered. This has become an all out business epidemic as the spam filters have progressed into a more aggressive level of filtering out spam. This can be bad news for you if you don’t know how to get your e-mail delivered effectively. Is Your E-mail even making it to your intended Recipients inbox or is it Being Zapped? Now, I’m going to ask you a question that you’ll not likely easily be able to answer that may open your eyes to this problem. Do you know how much of your e-mail is being delivered to your recipients inbox’s versus how many are being delivered to the spam folder? This means that you are sending your e-mail with the hope that it will arrive in the inbox of your subscriber. The keyword there is hope and unfortunately, hope is a bad thing to bank on when it comes to getting e-mail delivered, when your income relies so heavily on how many customers see your offer. Unless you can be logged into the e-mail inbox of every one of your subscribers, there’s no way for you to know that your e-mail is being delivered precisely. One way you can tell is measured in clicks and sales. If you aren’t generating clicks to the links you e-mail to your subscribers, chances are you aren’t reaching their inbox. If you aren’t generating the amount of sales you used to, you may not be making it into your intended recipients inbox. Clicks and sales are two things you will feel more than anything else because they amount to cash in your pocket or cash that ISN’T in your pocket. Clicks & Cash Tell You If your e-mail is being delivered or dumped! As we said previously, the amount of clicks that you receive is a huge indicator that tells you if people are seeing your message. Obviously if you are used to getting about 1000 clicks for each e-mail that you send to your list and see a drop to 700 clicks for more than a few messages, you can probably tell that something is wrong. Most people don’t keep track of clicks and only start noticing something wrong when they see that they aren’t making as much money. This usually sparks an investigation to see exactly what is going on that could be affecting profits which results in finding the decline in clicks. So what is stopping your e-mail from being delivered? There are three major things that could be holding back your messages from being delivered to your subscribers. The amount of e-mail that you’re sending could be triggering spam filters simply because they see bulk e-mail coming from you or your list service and don’t like it. A couple of spam complaints from people who really did subscribe, but maybe forgot could get you in trouble with the ISP’s and e-mail service providers if you don’t know how to react. You may not have all of the proper pieces in place when it comes to actually mailing your message that demonstrates to the various e-mail services that you are honest and on the up and up. These three things can be show stoppers when trying to get your messages get delivered. Obviously it’s no secret that e-mail deliverability is a subject that very few people want to get involved with. If you’ve ever tried to read an article on e-mail deliverability or listen to a seminar, you already know that it can be impossible to understand. The biggest reason for this barrier of understanding is the fact that there just aren’t that many people out there that are experts on e-mail deliverability. There aren’t a ton of high level courses on e-mal deliverability and when it comes to actual training on the subject, you may have a hard time finding it. IF you do end up finding any kind of training, it’s usually so complicated and full of technical garbage that you immediately do everything you can get away from it. If you’ve ever tried to learn programming, you might know what I’m talking about. Of course if you search for an “e-mail deliverability expert” you’re probably going to have a hard time finding one as well. Again, IF you find an e-mail deliverability expert you are going to pay out the nose just for the privilege of picking his or her brain and the truth is, you’re never going to have the knowledge they have. It’s a fact, e-mail deliverability has always been hard to understand, lengthy to attempt and expensive to maintain regardless of if you go with learning yourself or hiring someone to teach you. What Could Possibly make e-mail deliverability Much More Easy And Less Stressful? 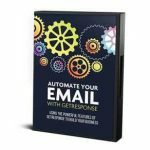 Knowing that I absolutely had to get my e-mail deliverability under control in my business or risk huge financial losses, I set out on a mission to learn how to deliver e-mail effectively. I encountered, the good, the bad, the complicated, and the expensive in this journey. Keeping the course, I took tons of notes, made recordings and poured everything I learned into a mess of documents. After this learning process, I organized everything into an easy to understand set of videos. What resulted was something that I’m very proud to be sharing with you today. Get Your e-mail delivered! Get More Clicks, Generate more sales! Do it yourself or outsource it and it’s easy and cheap either way! 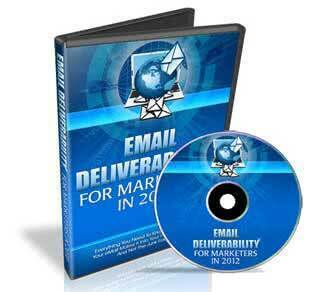 Increase your e-mail deliverability in 24 hours or less, guaranteed! 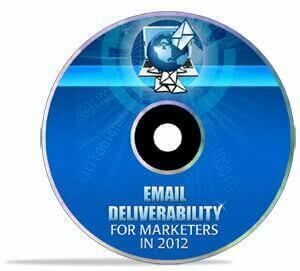 Charge businesses a fortune to consult on Their e-mail deliverability! Simple To Understand, Fast To Digest, Speedy To implement! Learn how I went from declining sales numbers to all time high click through’s from my e-mails. 2 hours of simple to understand videos show you how to make sure your e-mail gets delivered without all of the complication. You don’t have to be a genius to do this. Watch the videos, follow the steps, increase your deliverability. The best part is that you will notice higher deliverability rates and click through’s to your links the first few messages that you send out with these easy to implement techniques. I know that you may be worried about the complication in learning how to get your e-mail delivered. After all, we talked about some pretty worrisome things when starting this letter which included the complication and expense in learning e-mail deliverability. As I previously stated, finding training on e-mail deliverability was nearly impossible and even if you could find it, you’d have a hard time understanding it. It was because of this that I vowed to teach the subject of E-mail Deliverability in my easy to understand, watch over my shoulder style. I also committed to squeezing all of this knowledge into 2 hours so that anyone, even the business professional, could squeeze learning into their schedule. Deliverability Obstacles – Discover what is thwarting the delivery of your e-mails and why you need to take notice. Bounce Basics – learn everything about bounced messages, why messages bounce, and how they could be hurting your deliverability rate even further. Blocked E-mails & Filters – Find out how the pros deal with blocked e-mails, e-mail filters and user controlled e-mail blocks! Deliverability Tips – big time tips that show you how to get your messages to their intended recipients every time! Different Filter types – find out about each of the unique filter types, why they matter, and what you can do to get past all of them. Spam Scores – learn to use spam scores to your advantage so your messages gets through to your subscribers inboxes every time! Recommended Mailers – the best services to use for mailing to make sure that your messages get delivered! Aren’t you tired of worrying about getting your e-mail delivered? I don’t need to sit here and beat the idea into the ground that you need to make sure that your e-mails are getting delivered. You’re smart and you’re here to make sure that your subscribers are getting your messages so you can market to them and get them to click on your links and ultimately, get them to buy your products and services. Are you ready for the easy e-mail deliverability solution? The E-mail Deliverability For Marketers video seminar goes over everything that you need to setup all of your messages and subscriber lists for maximum e-mail deliverability and response. Once you order you will instantly be able to download your product which means that you can start watching it instantly as well. You’ll be learning how to get your e-mail delivered just a minute from now!